Life is like a series of notes. Sometimes the sound it beautiful. Other times it is actually off key. There are those moments when everything seems to come together like the sound of a wonderful melody. At those moments everything is grand and the euphoric feeling of life being a beautiful experience is undeniable. It captivates your senses and opens your eyes to the joys of living. However, there are times in life when that melody is slightly off key. Even way off to the point the music sounds like noise rather than a carefully crafted song. During those times when we feel the turbulence of life, we can sometimes question if we will ever hear that perfect song again. One thing is for certain, the music always comes back. If there is anything that we know for sure, it’s that life is a series of good and bad. Climbing the staircase of life, we risk stepping on the wrong notes from time to time. Take comfort in knowing that the odds are in your favour you will find that beautiful music once again. Those times of difficulty will make you appreciate the good and also give you something to look forward to. 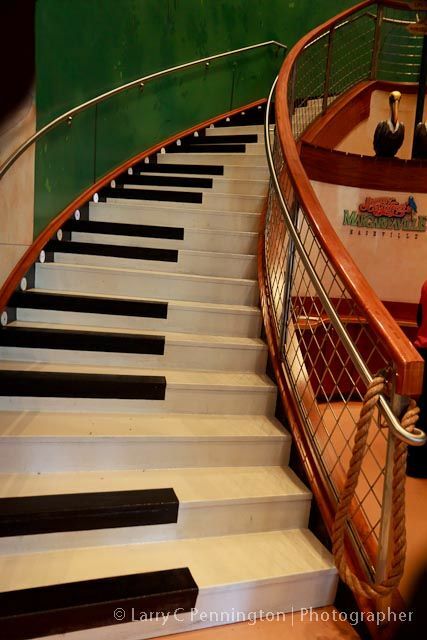 Enjoy the musical staircase that is called life.